Spreeha Bangladesh screened the world premiere (Bangla version) of award-winning documentary, 'Threads: The Art and Life of Surayia Rahman' by Kantha Productions LLC at Chhayanaut from 6.30 to 7.45 pm as part of a series of screenings to take place at various venues in Dhaka city from the 9th to 14th February. 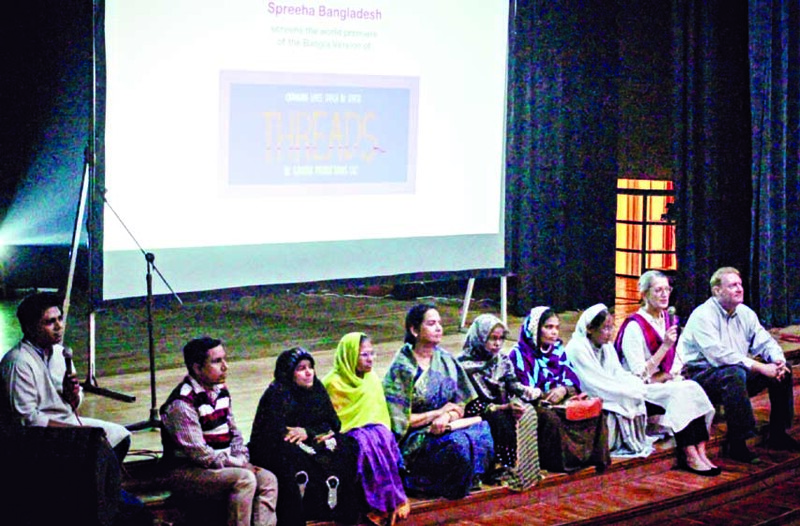 The event was hosted by Tazin Shadid, CEO of Spreeha Bangladesh. Director/Producer, Cathy Stevulak who introduced the Bangla version of the film with producer, Leonard Hill. Also present were Sofia Alim, daughter of Surayia Rahman, the artisans of Surayia's organization Arshi as well as Spreeha's students among other guests. "We feel privileged to have been able to host the world premiere (Bangla version) of the film and bring it to the crowd. We kept the event true to our roots and had an overall cultural theme for the guests." 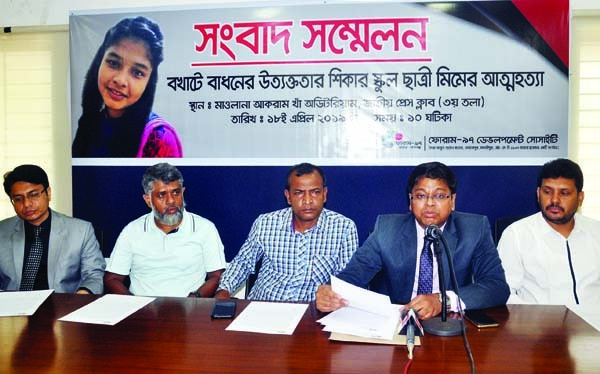 mentions, Tazin Shadid, CEO of Spreeha Bangladesh. Threads is the story of Surayia Rahman, respected artist, teacher and social entrepreneur who empowered the lives of hundreds of women by teaching them the craft of nakshi kantha and thus playing a role in keeping the art-form thriving. Surayia started her career as an artist when her husband had fallen ill and she had to care for her three young children. Equipped with her talent in art and driven by her undying determination, she soon became the sole breadwinner of the family. With time, her exquisite artwork gained increased recognition and led to her starting 'Arshi', the organizationwhere women trained under her guidance and could thus earn a livelihood for their families. Besides helping them find a source of earning, Surayia gave them a community, a space to learn, share and express themselves. Spreeha Bangladesh Foundation is a social enterprise that inspires change by empowering people. With use of creative solutions, Spreeha enables individuals and communities to rise above social barriers.